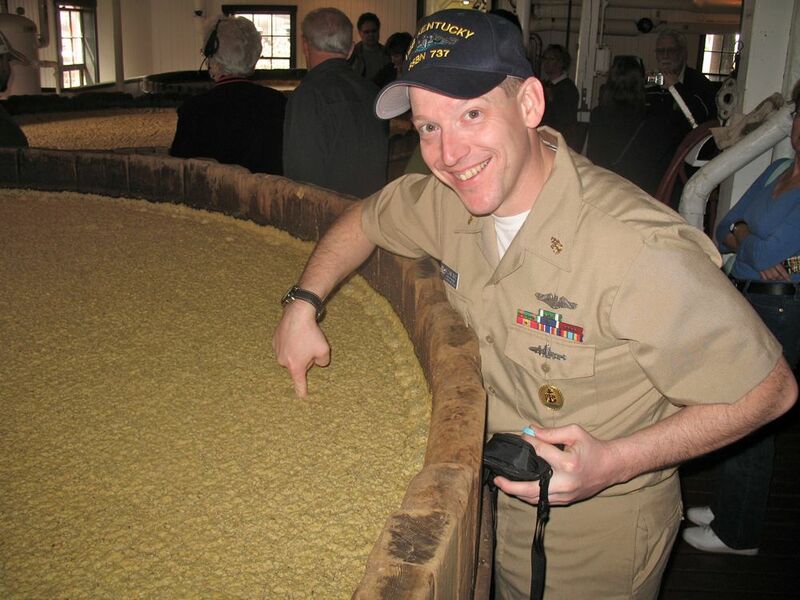 Loretto, Kentucky, March 7, 2009 - Emblematic of a namesake visit, USS Kentucky (SSBN 737) Blue Crew chief of the boat Senior Chief Petty Officer William Mast has just enough time to dip his finger in one of Kentucky's traditional products. 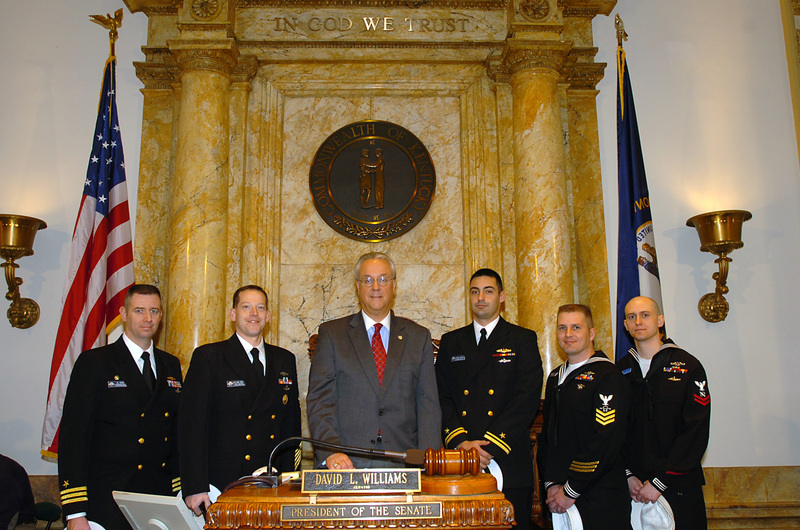 Louisville, KY – Five sailors from USS Kentucky’s (SSBN 737) Blue Crew made a quick visit to the namesake state March 5-8. 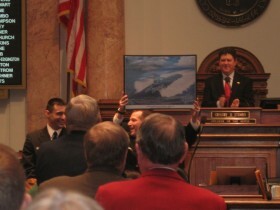 During their visit, they visited a regular session of the Kentucky General Assembly, attended a high school basketball tournament, met with local businesses, veterans, and fellow service members. 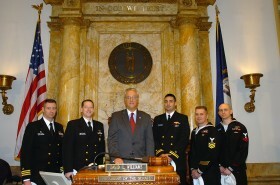 Visiting were commanding officer Commander Alan Holt, II, chief of the boat Senior Chief Petty Officer (SS) William Mast, junior officer Lieutenant Junior Grade Jeremy Dawson, sailor of the year Petty Officer 1st Class (SS) Matthew Hendl, and junior sailor of the year Petty Officer 2nd Class (SS) Christopher Hintzman. 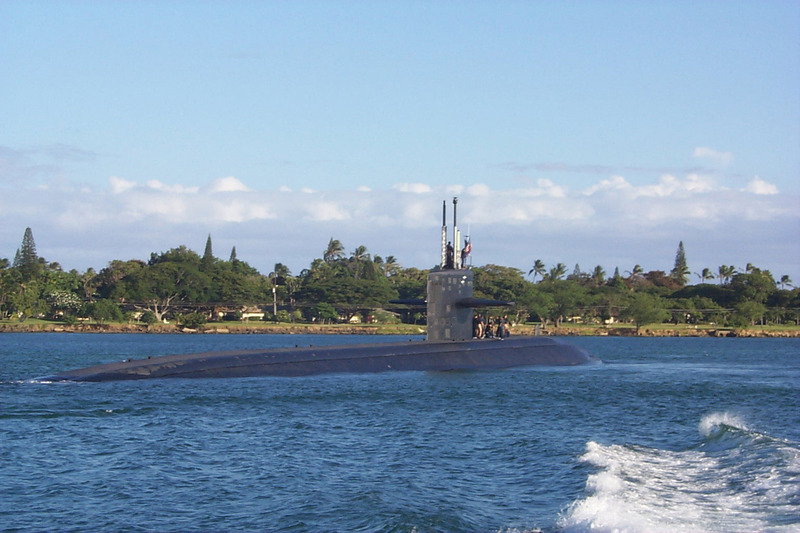 Pearl Harbor, HI – USS Louisville (SSN 724) returned to her homeport of Pearl Harbor yesterday for the first time in two years. During that time, she underwent a major overhaul in Kittery, Maine. Welcome home Sluggers!